Posted at: Jul 2, 2017, 2:07 AM; last updated: Jul 2, 2017, 2:07 AM (IST)CONSUMERS BEWARE! Sometime ago, a friend sent a message on Whatsapp about plastic rice being sold in the markets and served at restaurants. After that, I also saw such reports on the social media and a television channel. Is this really true or is it just a rumour? Has anyone investigated into these complaints? This is just a wild rumour because a number of state food safety authorities have tested the samples of rice on the basis of such complaints and have not found any trace of plastic. In Delhi for example, the food safety department said that following consumer complaints, they lifted 20 samples of raw rice from different markets and seven samples of cooked rice from hotels and restaurants. Tests found no plastic content in any sample. In fact, the Delhi food safety department also received complaints of plastic eggs. A number of samples of eggs were also collected and tested, but there was no truth in any of those complaints, the officials said. 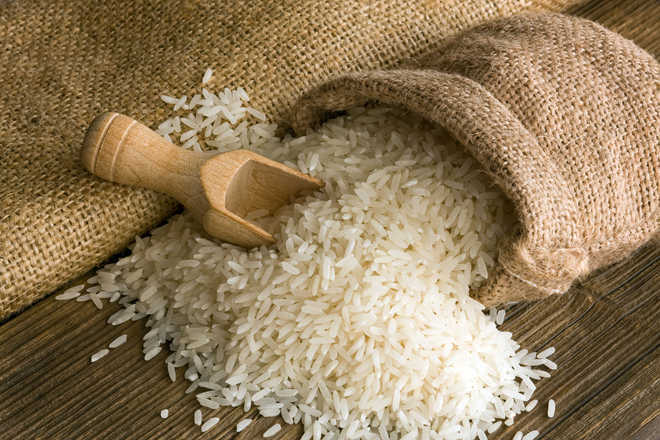 In Bengaluru, elaborate tests by the University of Agricultural Sciences, too, found no trace of plastic in the samples of rice complained about. In fact in Karnataka, this issue even figured in the state legislature, forcing the government to investigate into the matter and clarify later that it was a baseless, wild rumour. In Chennai, the food safety department officials said they inspected 74 outlets across the city and tested 14 samples and they all turned out to be ‘real rice’. The food safety department in Coimbatore inspected 200 shops across the district and tested 19 samples and the only non-rice particles that they found were stones. In Haryana, too, the department of food and drug administration has categorically stated that they have not come across any such plastic rice. In Andhra Pradesh, Civil Supplies minister Prathipati Pulla Rao even announced a prize of Rs 50,000 to anyone who gave a lead to finding such plastic rice! Most of the videos that I have seen show rice balls bouncing like rubber balls. If it is not plastic, how can it bounce like that? It is this bouncing of rice balls that has got many people believing that the rice was made of plastic! In many restaurants, consumers have complained that they have been served plastic rice after making a ball of the rice served to them and bouncing it. However, food scientists say that it is not a peculiar phenomenon, given the composition of rice. Dr Nagappa G. Malleshi, former head of Grains, Science and Technology, Central Food Technological Research Institute, Mysore, explained to me that rice is 80 per cent starch, which contains amylose and amylo pectin. When you cook rice, these swell and leach out and make the rice sticky. And when you mash and make them into a ball, these stick together and these also entrap air and therefore bounce. How bouncy the ball is depends on the amylose content of the rice. Higher the amylose content, greater the bounce, he says, explaining why some rice balls bounce more than others. Japanese rice, for example, may not be as bouncy as Indian rice because it contains much less amylose than Indian rice, he says. Similarly, there would be difference in the bounce of different varieties of rice sold in different parts of the country. Dr V.P. Singh, former head, division of genetics, Indian Agricultural Research Institute, also de-mystifies the ball bouncing phenomenon on YouTube. Rice, he says, has got adhesive and cohesive properties because of the high percentage (80 per cent) of starch in it. So the ball formation is on account of this adhesiveness. And when you throw this ball, it is bound to bounce on account of its volume expansion and air entrapment, he says, dismissing fears of the ‘plastic content’ in the rice causing the bouncing effect. Rice mill owners and manufacturers have also been pointing out that the whole idea of plastic rice grains is ridiculous because if you try to cook it, obviously the plastic cannot absorb water nor can it ‘cook’. It will only melt and burn! They also point out that it does not make economic sense to adulterated rice with plastic rice or sell plastic rice because usually the intent behind such adulteration is to make money. But here, manufacturing a kilogram of plastic rice is far more expensive than a kilogram of real rice, they point out. So it’s time to put to rest all those rumours of plastic rice.